My Sydney-based uncle organised a weekend up on the central NSW coast just before Christmas, which most of the extended Aussie family attended. As well as a chance for interstate rellies to have an early Christmas celebration together, Sydney uncle and his girlfriend announced their engagement! 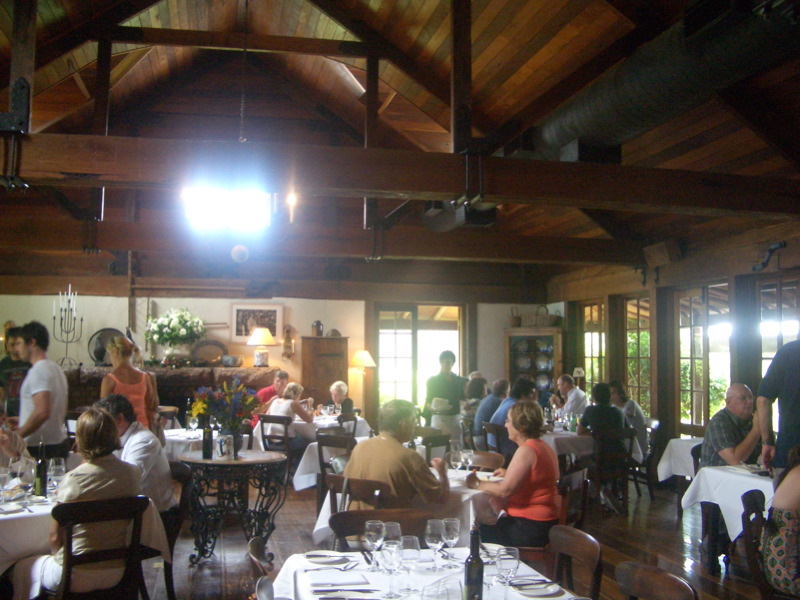 To celebrate, they very naughtily shouted us all lunch at Roberts, a gorgeous restaurant in the Hunter Valley. 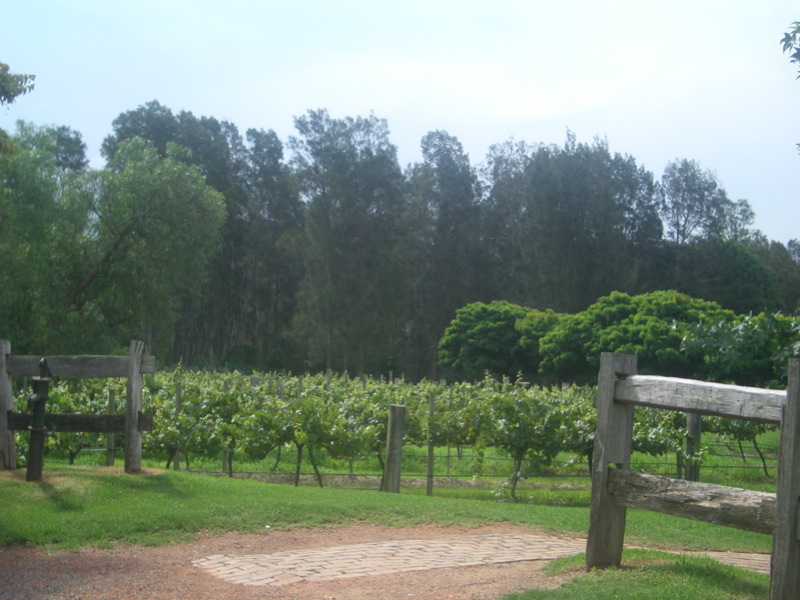 Nestled between Tower Estate and Pepper Tree Wines, the restaurant is in a converted barn adjoining the National Heritage Pepper Tree Cottage dated 1876 (almost as old as Mum and Dad's place!). 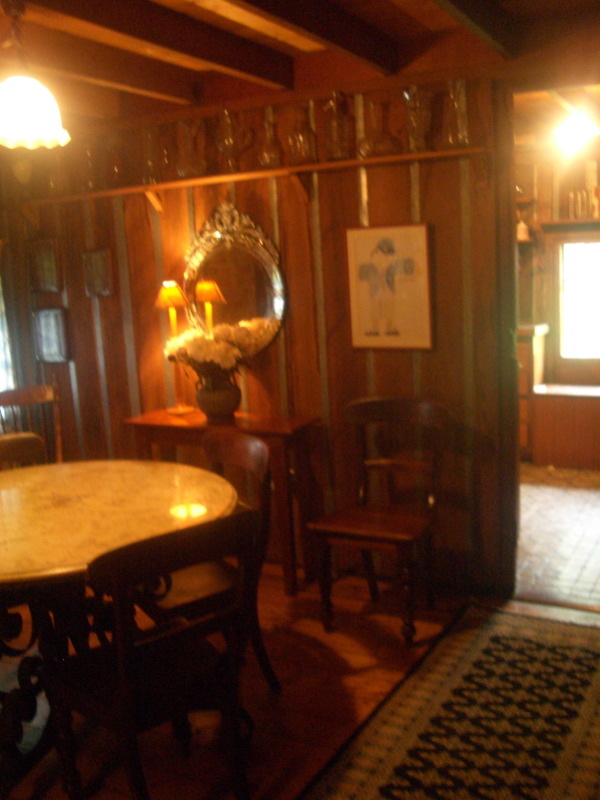 The interior of the cottage, as you can see above, is still furnished in 19th century style. 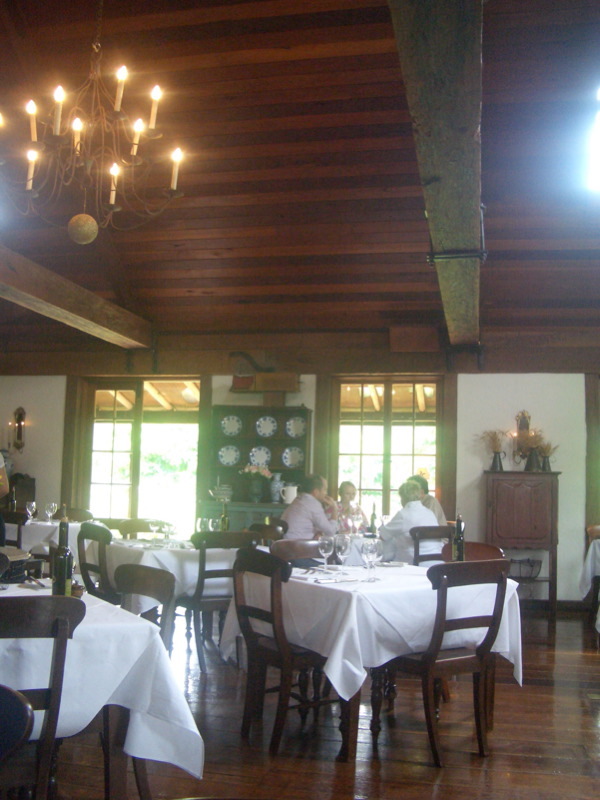 I tend to get slightly claustrophobic in low-ceilinged rooms like that, so I was relieved that the restaurant was in the airy converted barn. 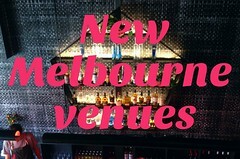 The fit-out and decor was French Provincial, but not offensively so - I rather liked it. 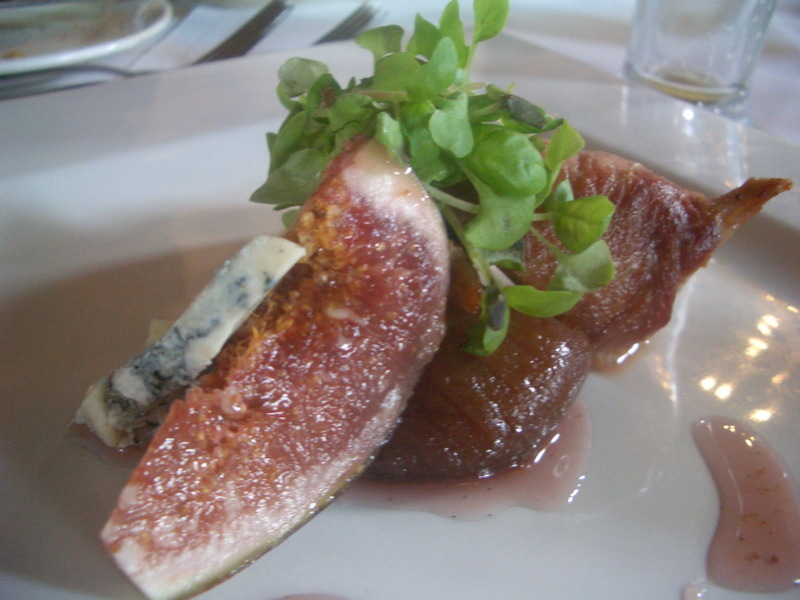 To begin, we were brought an amuse-bouche. 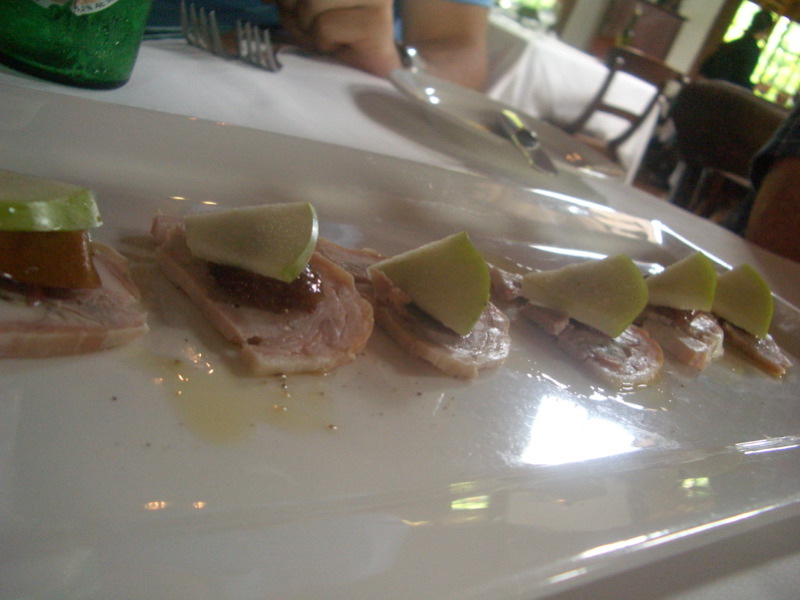 I believe it was rabbit terrine with onion jam and green apple - it was very flavoursome yet refreshing. 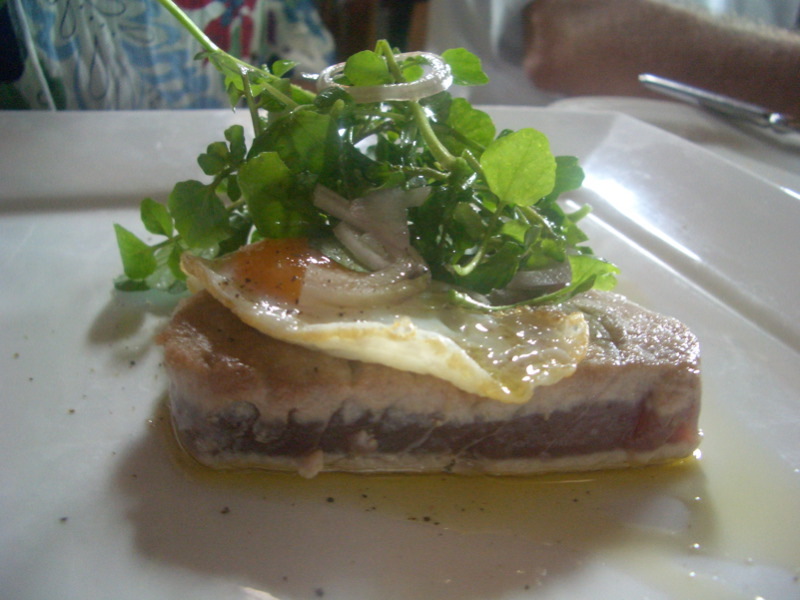 Aunty J's first course was seared Yellow Fin tuna loin, watercress and fine eschalotte salad, topped with a fried quail egg and truffle oil ($26). She reported back that it was delicious - as you can see, the seared loin was still sashimiesque in the centre and the fresh quail egg was a whimsical yet tasty touch. Buster and I both ordered a first course of house made squid ink linguini with black mussels, zucchini flowers, chervil and saffron aioli ($26). 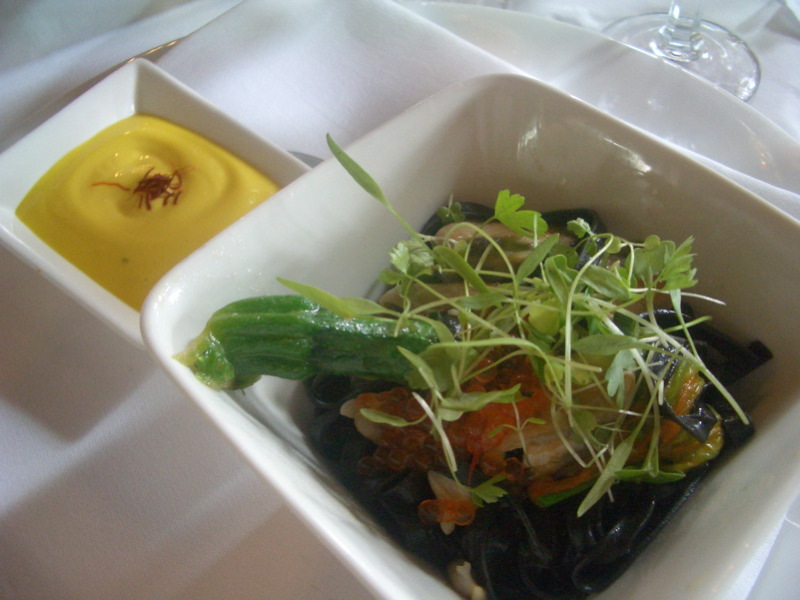 I was really excited when I ordered this - I love squid ink linguini and I love zucchini flowers. I'd even decided to break my golden rule of avoiding mussels: I used to adore mussels, but a dodgy bowl of moules frites in a Montmartre tourist trap bistro (called, in a twist of bitter irony, La Bohème - !!!) once gave me such a severe bout of food poisoning that even now, years later, the smell of mussels - even the very freshest mussels - can still give my stomach a bit of a twinge. If my first course left me a bit cold, I was rapidly won over again by my main. It was star anise glazed twice roasted duck breast and confit leg, baby bok choy and a piquant black cherry compote ($38). 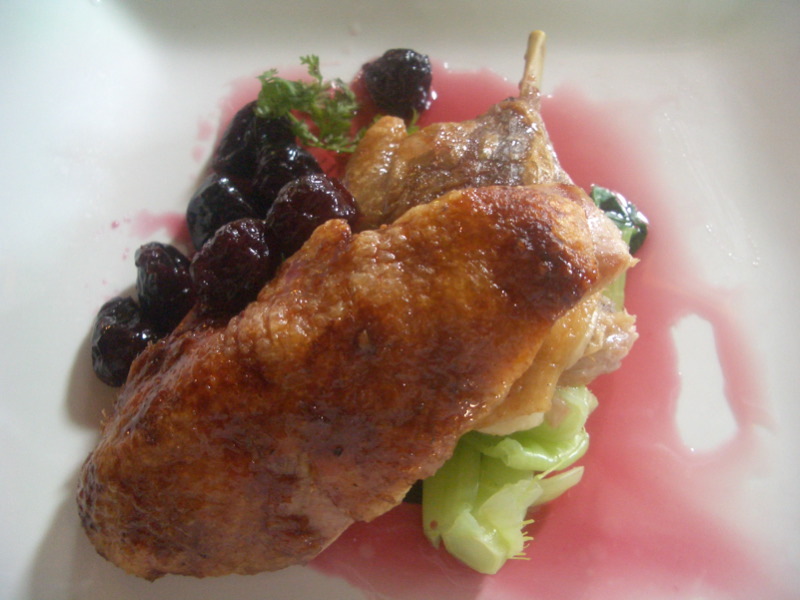 The glazed, roasted duck and piquant black cherry (washed down with a pinot noir, of course) were a match made in heaven! 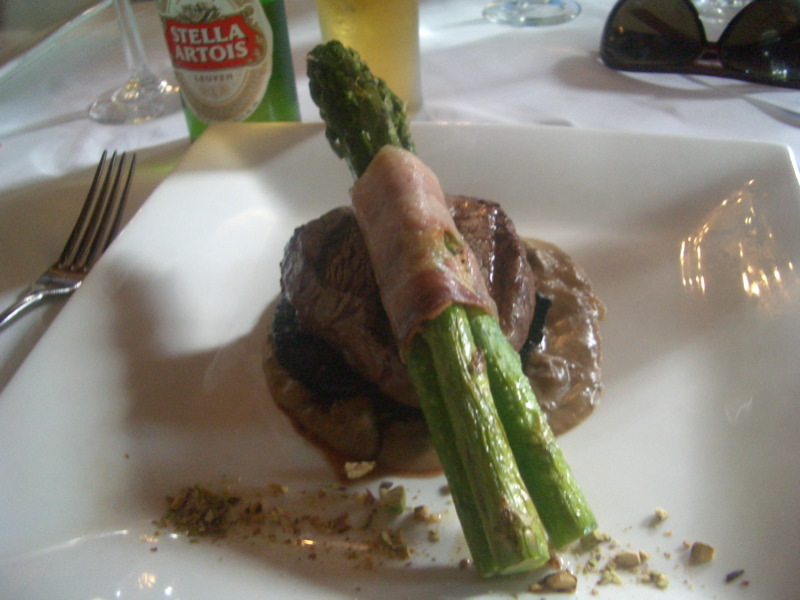 Cousin H ordered the chargrilled grainage beef fillet with prosciutto wrapped asparagus and wild porcini mushroom cream ($40). Although rather a heavy dish for a hot summer's day, H had a craving for red meat. He gave this tender fillet two thumbs up (note to self - ought to wrap around a bit of prosciutto next time I want to tart up asparagus spears). 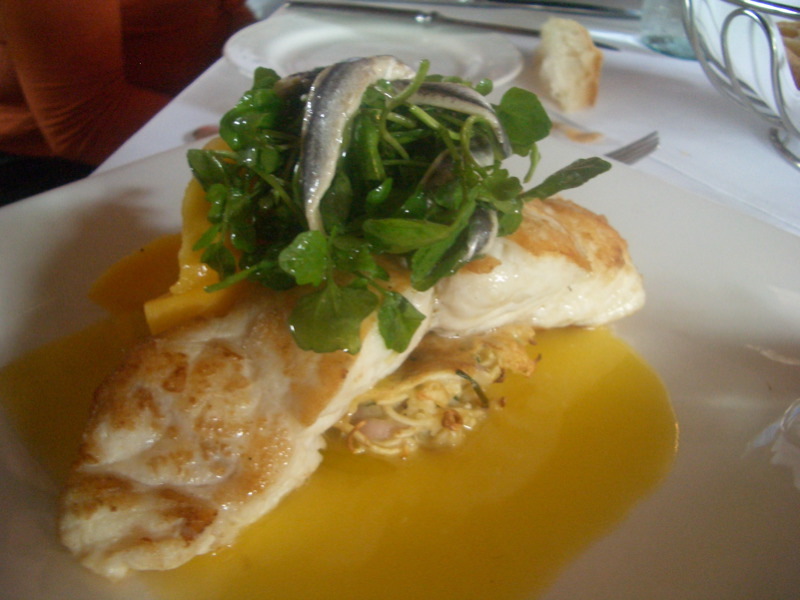 Like my duck, Mum's main was also a real winner: pan-fried Red Emperor, celeriac rosti, mango, eschalotte, watercress and white anchovy ($38). It certainly looked sensational, eh? I would never have thought to marry Red Emperor with mango, but Mum reported back that she really enjoyed the dish. I have the same problem with mussels. I had two batches of dodgy mussels many years and have never dared eat it since. I pick them out of every dish that has them as the smell puts me off too. Recently, I tried a few and I didn't have a reaction to them. 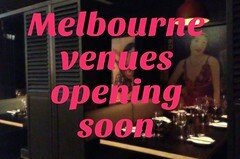 So it's probably all psychological rather than physiological.